The news that Richard Charkin has left Macmillan and joined Bloomsbury is both interesting and intriguing. Jack Charlton when he was appointed as manager of his boyhood team, Newcastle, was asked if he would be there for life. His answer was an emphatic no and said that 5 years was the most he wanted and then it was time for someone new to continue the work and for him to move on. He did just that. Wise words, which are often misunderstood. Obviously these are words that are not lost on Richard. It is It is a fantastic coup for Bloomsbury and one which will certainly leave a few in no doubt that the group will move with speed and purpose into the digital arena and potentially new markets. In his 10 years at Macmillan he built on the solid foundations and extended its reach into new technology and markets. It also signals the emergence of the new skill set that all publishers will have to embrace and the importance of that blend between technology and business that is all too often too far to either side. I suppose the blog will now feature Bloomsbury books and authors and less global travel and board meeting schedules, but it will no doubt also have a fresh outlook and view of the challenges ahead. I would expect that Richard will play an even more prominent role the digital environment than he did before. Congratulations Bloomsbury and Richard and don't give up the blog. Authors are the creators of the content the intellectual property that turns the wheels of the book business. The often all too forgotten heroes who make that connection and capture the imagination and interest of readers. So it great to see HarperCollins enabling them to communicate with the market through a web based toolset AuthorAssistant that enables them create their own pages. Participating authors can include biographical information, blog posts, coming attractions, question and answers, photos, links to other articles and posts, browse inside widgets. They plan to add a video component and feeds to provide third-party syndication. Today the launch is with 40 Avon authors but it is planned to extend it to other imprints. Social network sites are clearly the in thing and are developing in many ways. Today we read that News Corporation is set to launch a mobile phone version of MySpace. The service will be advert supported free and enable users to transfer messages, comments and update blogs. Separately, in that other social world of Facebook we hear of potential investors ready to table $300 to $500milion for just 5% of the company! That will give the company a valuation of potentially around $10 billion! Last September, Yahoo offered $900 million in order to acquire Facebook. An offer rejected by Mark Zuckerberg,(pictured) its 23-year-old chief executive Zuckerburg. Today Facebook has more than 40 million members, up from 9 million last year. This time the investors are no other than Microsoft and Google. Facebook’s valuation could go even higher if the two rivals create a competitive bidding war. It is also rumoured that Facebook is seeking a minimum valuation of $10 billion but it go as high as $13 billion. Not bad for a company which Richard Greenfield, a Pali Research analyst, earlier this year, estimated generated revenues between $60 million to $96 million, with no real profit. Much of that revenue comes from a year-old advertising relationship with Microsoft. The One Laptop per Child programme has not received the backing many expected and has experienced what one may say is the difference between getting the handshake and PR and having a cheque in the hand. The ambitious programme is being driven by the founding member of MIT media lab Nick Negroponte and is based on de-cluttering the laptop down to the basics, providing free open software and creating a computer that is practical, rugged, affordable and that has the potential to transform third world education. The early reviews have been glowing, and mass production is set to start next month. 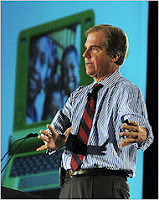 Earlier, Mr. Negroponte had hoped for orders for three million laptops, but those pledges have fallen short. Orders of a million each from Nigeria and Brazil did not materialize, however Peru, for example, will take 250,000 over the next year and Mexico and Uruguay have made firm commitments. Western countries had also backed the programme with Italy having agreed to purchase 50,000 for distribution in Ethiopia. Each country will have its own agenda with many using them to educate their children and substituting textbooks for online reading via the high resolution screens. So why the slow take-up? The answer is probably as complex as politics itself and may not be openly supported by all technology companies and education suppliers. To give the programme a boost a new campaign has now been launch called “Give 1 Get 1,” in which Americans and Canadians can buy two laptops for $399. The give one to a child in a developing nation, and the other one will be shipped to the purchaser by Christmas. It is hoped that many will donate the extra to local schools and organisations. The laptops are targeted to be $100 a machine, and sturdy enough to withstand harsh conditions in developing world, are energy efficient, with power consumption being 10% or less of a conventional laptop. It’s a shame that the players can’t come together, governemts, development and aid agencies, teachers, publishers and the western public to make this happen. At a time when the UK booktrade debates whether there will be a digital iPod moment in the market we find ourselves waiting and not acting to make ‘one laptop per child’ provide the difference and be a true iPod moment for so many. So where is the money in the music business? Where do artists make their bucks? Yesterday the channel was clearly defined and the money came through selling records and although the model still holds water times are clearly changing. On the artist side we have seen Paul McCartney turn his back on EMI and sell his latest album through Starbucks, Prince gave further sign of the times with his Mail on Sunday giveaway of his latest album and now we hear that Madonna wants to get out of her Warner deal, even if it costs 50 million, and line up with her tour promoters. For the major acts bums on seats and merchandising make money adding music to this make better sense that leaving with the ailing record producers. We have also raised the question on free ad paid downloads from Sprial Frog and the growing no DRM movement. Times certainly look bleak in the traditional music houses! Now Starbucks plan to give away 50 million free digital songs to customers in all of its domestic coffee houses to promote a new wireless iTunes music service that's about to be launched in the US. Between October 2nd and November 7th their 10,000 U.S. stores will hand out about 1.5 million "Song of the Day" cards each day. The cards can be redeemed at Apple Inc.'s online iTunes Store for 37 artists which feature songs from the first two to sign on with Starbucks' Hear Music label Paul McCartney and Joni Mitchell along with Joss Stone, Dave Matthews, Annie Lennox and Band of Horses. The first song will be Bob Dylan's "Joker Man." Starbucks will also start selling iTunes digital release cards that allow the download of a full album and bonus material. KT Tunstall's "Drastic Fantastic" will be one of the first two featured albums to be retailed this way. Starbucks also will offer a limited-edition re loadable purchasing card that includes two free iTunes downloads when customers register their cards online. The from October Starbuck’s icon will also light up on the Apple iPhone whenever a user is within range of a Starbucks shop's Wi-Fi signal and consumers with the devices or a laptop with iTunes software will also be able to use the signal for free to browse and buy other iTunes music. This service will be launched in Starbucks 600 shops in Seattle and New York and in San Francisco in early November with plans for it to be in a quarter of its US stores by the end of 2009. So what does this mean to the booktrade? We may see what many believe is the inevitable – STARBOOKS. In a crowded coffee market it is obvious that these savy retailers need to broaden their offer, build further loyalty and use their muscle to offer new innovative services. Do we think books are different? Today they may be but as digital options increase then so does the threat of the new entrant. As for the artist versus the author, who would have thought Stabucks would woo artists such as McCartney and Mitchell. Welcome to Borders beta web site http://beta.bordersstores.com/online/store/Home. It looks clean and fresh and the navigation also looks good. I liked the ‘checkout the availability for store pickup’ as you can select your book and pick it up at the airport – smart. The bookshelf and record copy layout looks good but not so sure about the search which maybe is a bit clunky. But I did find it interesting as it told me that in music they have 293K compact discs, 300 DVD audio, 5 box sets, 355 dual discs and 98 super audio CDs but no downloads. Again I soon got the bug and discovered that they have; 390K hardbacks, 797K paperbacks, 24K audiobooks, 76 box sets and 2K board books and even listed some special features with 3 braille books 522K illustrated, 6K abridged and what everyone wants to hear 187K bestsellers and even the split of number of titles within each price band! The lack of inside views on books and audio samples was a little surprising given that it is becoming accepted that they are a must and the music sample were there and well presented. It is clear that the chains and retailers are now taking on Amazon but that they are still the ones pushing the envelope. One day after the Microsoft bashing from the European Commission comes the inevitable first skirmishes of the potential pending wars. IBM is announcing IBM Lotus Symphony, at an event today in New York. The programs which will compete with Microsoft’s Office suite, Word, Excel and PowerPoint and will be available as free downloads from the I.B.M. Web site. IBM will also be open-source software developed in a consortium called OpenOfiice.org whose free office software has long been available but has not yet made much progress against Microsoft’s Office. However IBM are banking of the power of their brand and backing to make the difference. IBM is joining forces with the likes of Google who already offer an alternative open-source desktop productivity programs as part of its Google Pack. Google also supports the same document formats in its online word processor and spreadsheet service. The critical element will be the document format used, called the OpenDocument Format. It makes digital information independent of the program, like a word processor or spreadsheet and is based on XML. Microsoft has its own document format, called Office Open XML and unlike the OpenDocument Format, backed by I.B.M., Google, Sun and others, they failed to get it approved by the standards organization. So it’s back to those days when IT department spent resource evaluating Office against Lotus and Wordperfect. But free and XML approved standard are powerful arguments. The other day I was clearing out some old journals and came across the Publishing in the 21st Century research papers that were sponsored by VISTA between 1996 and 2001. Having been honoured to be involved in the exercise I have always held the research as both informative and often groundbreaking. In fact the 2001 research paper on digitalisation made fascinating reading. It could have been written yesterday the issues it raised and prediction it made. The editorial team of consultants lead by Mark Bide and Mike Shatzkin I believe were second to none in the areas they covered and experience they brought to the table. Alas the 2001 paper was the last to be published. Consultancy can come from many different quarters and will inevitably be bias to what people know and what they specialise or are interested in. You don’t ask a logistics expert to advise you on rights management and visa versa and the Publishing value chain is complex and covers many disciplines. So where do publishers go now for digitisation help? It isn’t always easy to find the perfect independent consultancy match and that is even a greater problem in a market where the different sectors are often moving in different directions and at a different pace. Independent advice today is becoming rare with many consultants having to juggle conflicts of interest. I believe that the work that Mark Bide and Mike Shatzkin performed earlier this year on DAD (Digital Asset Distribution) research was a great start to demystifying the digital minefield for many. It is ironic that it is the same team we used at VISTA and I now hope that the likes of Klopotek will sponsor more such independent initiatives to help educate and provide impartial guidance to the market. We said that it would happen but we didn’t expect it so soon but the nail in the DRM audio coffin is now firmly being hammered home. eMusic is to offer over a thousand MP3 audiobook titles from publishers such as Hachette, Penguin, Naxos and Random House. Random will watermark their audio files and monitor file-sharing services for abuses. Again something we have been predicting. This is a significant step and follows similar moves by the music industry. At last we may well start to see the digital audio demand we predicted in the Brave New World report and the demised of the proprietary DRM monopoloy of Audiable. It also clears the way to move away from the book club model and importantly set a price point that the consumer can relate to. Well done eMusic and watch out for many more announcements and deployment in this exciting audio download market, as the shackles that have inhibited so long fall away. We would predict that this is not going to be the solution store or buying model but it certainly will shake the tree! The question of what to do in the digital world and when to do it perplexes many today. Different sectors are clearly moving at different speeds and in different directions and the questions are still very focused on the consumer demand and that all elusive ebook reader. Last week Elsevier and Oxford University Press launched major programmes to migrate e-book versions of front and backlist print titles onto their digital platforms. Elsevier made 4,000 backlist e-books available on its online journals site Science-Direct and aim to put another 4,000 backlist titles plus some 700 new titles onto the platform in 2008. OUP plan to publish 200 academic monographs in parallel with the print versions on its subscription-only site, Oxford Scholarship Online. These moves may appear small but they are part of a growing migration that is becoming stand in the academic world. This sector realise, that the current demand from intuitions is for online ‘stuff’ and if they don’t move, it clearly places them at a growing disadvantage. Leaders such as Taylor and Francis are clearly making and benefiting from the digital transition today. Academic publishers are aware of the threats and opportunities from new entrants. However as we have long agued, publishers need to change their upstream processes, and to digitalise these so that they have titles which they can quickly deploy in any which way. This change is starting to take place and again academic, reference and educational publishers are leading they way. Customised books are become a reality and digitisation is starting to replace the old analogue process. Online libraries are also become common and many are starting to look at books, chapters, articles and think outside the jacket. Publishers should be less obsessed by the end product being digital and more focused at digitising the process from manuscript to finished product. This is where the benefit case is strongest, the asset development has its greatest opportunity to maximise its value and where market change can be kick-started. Converting backlist isn’t going to be economic unless the sell, digitising typesetting is a start but its at the finished product stage and often misses out on the digital promotion and marketing opportunities. Lets not forget rights, which in the true digital world should be tagged to every digital asset and track able but in today’s world are often sitting in a separate transactional database and lost in space and after all publishing is a rights business. The ‘world greatest ebookstore’ has been announced. Is it Amazon, Google Microsoft, Apple, Yahoo or any of the usual suspects? No it has been announced by the Athens based Floras Group. Are these major players in the global book trade? The answer that they own Greek's third biggest bookselling chain, have 12 bookshops and revenues of 10 million EUR. Seems a tall order. So what are they doing that is so special that they will succeed where others havn’t and on a global marketplace where their brand is unknown. They plan to create a global network of wholesalers and booksellers in 60 countries around the world, with access to more than 30m titles. The reality is that there isn’t 30 million digital ebooks available today! Today they claim 8 million titles from 8 countries but this includes China and their def, but will that provide the consumer with any added any value added differential? Floras aims to have one exclusive partner per country and each will only supply books produced in their territory, sowhy have a global infrastructure if it is to be restricted by territory. It is true that the current demographic landscape of the world is transient and multicultural, incorporating millions of migrants, but is that enough to sustain global demand of what is often indigenous product that is today in a physical format? Like many of the announcements that appear almost daily it is interesting to think about but it is difficult to see this going anywhere fast. Books for free where everyone gets paid, author, publisher and retailer! This may sound far fetched but it is happening today. The money will not come from the consumer but from the likes of Ikea, Walt Disney, Nike, Pepsi etc. We have seen the emergence of the advertising model all over the internet from Google to social networking sites, we have seen it spread to the music industry through new ventures such as Spiral Frog. Well now it could be entering the shelves of bookselling! We have seen and reported on the move to bring an advertising based model into the medical journal market but this one is different in that it is customisable. The consumer selects the advertiser! Shanghai-based Bookgg is exploring a new advertisement powered free book business model. The consumer selects the book and then selects the sponsors with their placement on your book until the price of the book drops to zero. The book is then printed and posted. For every free book, you need to have a book ticket, which you get once you have registered. You then earn further book tickets by referring new users or orders or buying into an account, which will issue new tickets every month. Every advertising sponsor can only be selected by an individual once so promoting you to spread your sponsors and in effect find out about others. The sponsor receives all personal information. Finally the books are printed on demand by Bookgg and contain your sponsors adverts. So does this make sense? In the Chinese market it probably does fit with both their culture and also the exploding distributed POD market where many bookstores are using POD technology. But will it influence the western markets? It is novel but raises many questions on copyright, royalties sales tracking and accountability and the author could have serious concerns about exactly who they wish to have sponsor their work. Microsoft has patented via United States Patent 20040204943 a digital watermaking technology refered to as Stealthy Audio Watermarking. Is it important? Well given the disarray in the music DRM world and the lack of ‘open’ audio DRM - the answer must be YES! Below is that actual patent abstract as described at www.freepatentsonline.com . This now starts to offer a real alternative to both DRM but also for royalty tracking and collection. It is early days but if Microsoft have a deployable solution it could become pervasive very quickly. In the Brave New World report we intimated that the ‘silver surfers’ should not be forgotten as they had; higher disposable income, more leisure time, propensity to reading and were signing up to broadband services and the internet in droves. Some may say that targeteting the youth market was like herding cats. The New York Times today take the viewpoint further and reports that Silicon Valley’s technology investors and entrepreneurs, are starting a host of new social networking sites aimed at baby boomers and ‘graying’ computer users. They are creating Facebook with wrinkles! The sites such as Eons, Rezoom, Multiply, Maya’s Mom, Boomj, TeeBeeDee and Boomertown are starting to attract attention and big investment dollars. In the US there are around three times as many silver surfers (78 million boomers) than the number of teenagers. According to a market research firm Nielsen/NetRatings, the number of Internet users over 55 is roughly the same as those who are aged 18 to 34. Older user will also want a different experience and not always feel comfortable with the younger and hip MySpace, Facebook, Bebo or Friendster offers. Their social conversation and the topic too the older user wants to discuss will also be different to the teenager. Its also doubtful whether they will get a fulfilling experience engaging with the teenagers on their subjects. These developments should be very important to publishers and are sustainable ones which support their current reader base. The question is whether the young marketing turks can and will relate to the needs of an older audience or continue to chase ‘me too’ offers? What’s that noise? Is it a Beluga Whale, or a Boreal Owl, or maybe a Yosemite Toad? Maybe it’s the new ringtone from the Center for Biological Diversity. Whilst the music world is starting to grapple with their new ‘ringles’. A new industry initiative to engage with their audience through combined singles and ringtones, others have clearly gone for something a little more unique and green. Ringles are expected sold as a CD with a slip-sleeve cover containing three songs. The songs will be a hit and maybe remix and an older track and importantly one ringtone. The idea is encourage consumers to buy singles in the store as well as ringtones and enable stores to get involved in the ringtone phenomenon. So far the ringle inventor, Sony BMG Music Entertainment and Universal Music Group are going to be the first to market and Sony plans to release 50 titles during October and November, while UMG will have up to 20 titles available. Meanwhile back in the jungle, the Centre for Biological Diversity will let consumers download the haunting hoots, sensational songs and crazy croaks of endangered species from around the world to your mobile phone, for free. You can also download free wallpapers and screensavers. This is a great way to raise the awareness of the current plight of many endangered species. Who wants a ringle when you can have a special noise that will certainly make everyone else wonder exactly what’s in your pocket and who's ringing you? Apple has just sold its millionth iPhone which it achieved in less than three months after it’s debut. Ok some may have found fault with it and Apple has just cut a third off its price down to $399 but its still to launch in the UK and other markets and it took two years for Apple to sell a million iPods! Steve Jobs last week offered a $100 credit to customers who paid $599 for the iPhone when it came out June 29. The cut and credits have further increased iPhone demand. Apple now predicts that it expects to sell 10 million iPhones in 2008 to take a 1 percent share of the mobile phone market. We stand by our prediction that the iPhone will be the biggest thing to hit the market this year and will have a fundamental impact on all mobile devices and services. Holtzbrinck Publishers has launched an online website offering free podcasts, called Quickanddirtytips.com. The website clearly suffers from an identity crisis and looks to have been dreamt up by some young hip marketing executive who wants to reach out to a mix of people from those setting up their own business, mothers wishing to learn about parenting, those wishing to improve their grammar, or invest and manage their money or wishing to create a second life at Second Life. The short podcast often start with a disclaimer, followed by and advert and if you survive this, then the actual content. The site grew out of the publisher's relationship with podcaster turned author Migon Fogarty. She may have been downloaded millions of times and may be an expert podcaster, but the experience was very bland and uninspiring and very hard to take seriously. That’s without the background music and sound effects! We are the first to support experiments and new and innovative ways to exploit digital opportunities but this takes a traditional publisher out of their comfort zone. Where can the medical world learn about the latest practices and technology and know that these articles are valid and have been peer reviewed? The answer has been the very successful STM journal market. A great business model where in the main the material is given to the publisher , its reviewed for free and then sold at often high ticket prioces back to the institutions. We all know that the publisher is essential to this process and that the value reflects the quality of the material, its currency and authority. Open Access has been steadily gaining ground and has questioned why material can’t be free to all after a period of time, let alone on release. According to Manhattan Research, the number of visits by physicians to online medical journals has increased 27% over the last two years, while readers of the printed versions declined 14%. So the switch to online is very real but pricing has always been and remains a thorny issue, but now comes news that times may be changing. Elsevier’s medical and scientific journal business is profitable, but revenue is flat and with online readership growing faster than print subscriptions the obvious question is how can you change the business model? Interestingly with only a very small amount of pharmaceutical marketing spend being online and with much more still going to consumer advertising on television and to reps who visit doctors there is the answer. 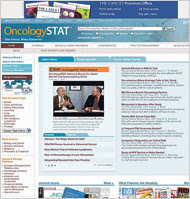 Reed Elsevier who publish more than 400 medical and scientific journals, has now introduced, www.OncologySTAT.com, that gives doctors free access to the latest articles from 100 of its own pricey medical journals which include The Lancet. It plans to change its business model from a subscription one to an advertising based model. It will ask professional readers to register their personal information and preferences and in exchange will give them immediate access to the latest related articles. Elsevier hopes to sign up 150,000 professional readers within the next 12 months and to attract advertising and sponsorships from pharmaceutical companies with drugs to sell. Future sites are obvious and may focus on specialties like neurology, cardiology and infectious diseases. There may be many questions still to be answered and the final solution may take time to evolve but the shift top the new model poses many opportunities for many publishers and is similar to the path taken by other media channels. The gloves come off and the digital wars really start this year. Amazon is set to launch the much hyped and long overdue Kindle ebook reader with rumours rife that this will be in October (surprise surprise Frankfurt). The rumours also predict the price at $400 to $500 and that it will wirelessly connect to an e-book store on Amazon’s site. The device will also connect and download books and periodicals, and browse the Web, without connecting to a computer. 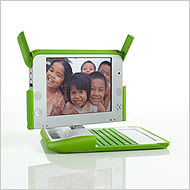 It also has a keyboard, so its users can take notes when reading or navigate the Web to look something up. The real key issue is the use of the Mobibook format which is proprietary to Amazon and which raises the format war issues between OEB, Mobi and Adobe PDF. Publishers who backed a single format may find themselves having to revisit that decision. After all if Amazon can’t make ebooks work who can? So Amazon enters the iTunes world for books, with a device, the catalogue, the connection and of course the brand. Also, Google plans to do what we all new it would do and be a bookseller. It is strongly rumoured that it now plans to start charging users for full online access to the digital copies of books in its database. Publishers will set the prices for their own books and share the revenue with Google. What it planed with the masses of content it has hovered up from every library in its content vacuum exercise remains to be seen but the likelihood that these will not sit alongside the current titles is hard to believe. We now sit back and wonder how many rights queries will be raised. The hands of Steve Jobs who yesterday announced Apple’s new iPod and Microsoft and its book programme are still unclear but it seems inevitable that they will follow. HarperCollins together with publishing partner Penwizard are working with Noddy license-owner Chorion to launch printed "books on demand" with the first personalised books for children's favourite, Noddy. Consumers will be able to personalise characters and text in books ordered online and also choose from three Noddy adventures to create a book online at www.mynoddybook.co.uk. They can include a child's name, hairstyle and colour, eye colour and skin tone to create an image of the child within the book. They can also add a personal message and it can be printed in several languages. Not only can you configure your own Noddy book but there are other stories too! Personally I tried the football story. I entered my name, my club and configured the image in the right shirt (blue and white stripes, black shorts, whites socks. Then I had to name the manager and two players and select and image for all plus a message. Then presented at checkout to but. Drat I couldn’t see what I was buying, not even a ‘browse inside’ standard look and feel. I didn’t know how many pages, what the story was about. Drat at £15 I can live without the fantasy! But it looks a great idea and certainly an interesting experiment to follow. Some of us have always struggled to see textural works as books or journals and remember the shock and horror of many when all works were first referred to as ‘product’ or worse still ‘stuff’. But the reality is that it is hard to keep these fine lines of definition when the works themselves are being digitally exploded. Books have always come in many formats, or renditions and often belong to a series or have associated works. Today there are now many more digital formats and as with training course packs and reference works, they are now also being fragmented within the works themselves. Journals were always broken down into issues and articles but in the online world the referential linking to supplemental information is very real. Ingram Digital Group, and Swets, a leading worldwide subscription services company, have announced a joint initiative which combines the features of Ingram’s MyiLibrary and Swets offers, to provide organizations a single access interface to manage both their journal subscriptions and eBooks. It is clearly a step forward in breaking down the demarcation barriers between subscription and purchased product and the article and book worlds. We also see others such as Cengage (previously Thomson Learning EMEA) starting to combine their article and book offers within services such as BizEd Premier. Others, such as in the travel sector, are starting to combine multimedia not as an afterthought, but into the original design and development. We are clearly entering the world of stuff or whatever we want to call it. The wars between Bezos and Jobs are starting and the first salvos are not to be books, but music downloads and the area that Bezos had previously given to iTunes. As we reported in our blog, ‘The Cat is out the Bag’ on 2nd July this year, this month Amazon.com will launch an online music download service. It plans to sell about 1m tracks from record companies Universal Music Group and EMI as well as songs from a number of independent labels. So what’s special? Well as expected the price will be keen, charging $0.99 for new and popular songs and $0.89 for others, while albums are expected to cost between $7.99 and $9.99. So the price is better but prices can always be undercut. The interesting fact is that as we noted in our blog that Amazon are doing it without DRM. Jobs already wants to go the DRM free route, but will iTunes still be a destination store if DRM is not an issue and aopens up a real competitor in the market? If we look at audiobooks it is virtually guaranteed that it will end up following music as far as DRM. What will that do to Audioble who have built their platform on a technology offer that is looking shakier by the month? Audio DRM free is already avialble on public domain works from Naxos and Silksounds so the writing is clearly on the wall there. We always said that books are different. One question is whether they actually will be seen that way in the market? The other question is the role of watermark technology and its place in a DRM diluted world.